According to report, the lenders to the beleaguered airline, led by State Bank of India (SBI), were not ready to sanction a term loan to the company without gaining exclusive rights on its cash deposits or appreciating assets. Jet Airways has reportedly pledged its fixed deposits (FDs) worth Rs 1,500 crore with SBI to borrow Rs 225 crore. Debt-ridden Jet Airways has taken a new route to raise funds for its operations. The cash-strapped airline has reportedly pledged its fixed deposits (FDs) worth Rs 1,500 crore with State Bank of India (SBI) to borrow Rs 225 crore, according to a media report. Currently, cash-strapped Jet Airways has a debt of around Rs 8,200 crore and has been scrambling to raise funds for operations. The lenders to the beleaguered airline, led by State Bank of India (SBI), were not ready to sanction a term loan to the company without gaining exclusive rights on its cash deposits or appreciating assets, according to a Mint report. As per the report, Jet Airways can borrow additional funds from SBI with the same FDs as security. There were also speculations that its strategic partner Etihad, which currently owns a 24 per cent stake in the domestic carrier, would invest around Rs 1,400 crore to acquire more stake in the company. 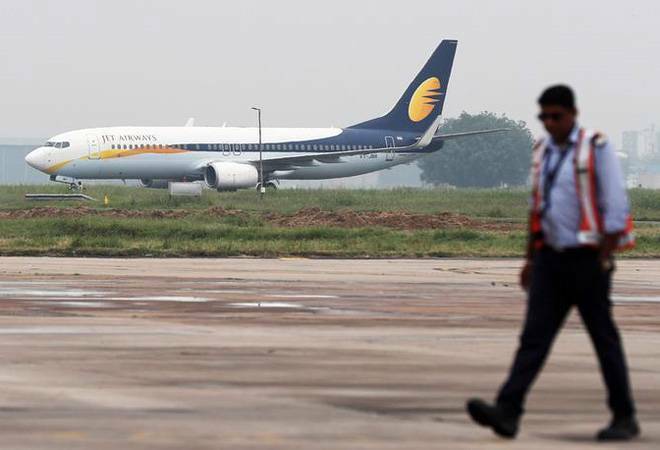 It is to be noted that shareholders of the airline had approved proposal for conversion of its debt into shares at the recent extraordinary general meeting (EGM), during which Deputy Chief Executive Officer Amit Agarwal announced that Jet has been talking to various investors for capital infusion. The Bank Led Resolution Plan (BLRP) by lenders estimated a funding gap of Rs 8,500 crore (including proposed repayment of aircraft debt of Rs 1,700 crore) to be met by appropriate mix of equity infusion, debt restructuring, sale and lease back of aircraft, among other things. According to a Business Standard report, SBI and Punjab National Bank are likely to buy out the exposure of other small lenders, under the resolution plan. In the last few months, the airline has grounded 40 of its planes, or a third of its original fleet of 123, in wake of rising cost and non-payment of amounts outstanding to lessors under their respective lease agreements. It is also learnt that Jet Airways' founder Naresh Goyal has agreed to step down as Chairman of the airline's board to revive the beleaguered airline, which is facing the most turbulent times its its 25 year existence. Since the beginning of this month, Jet Airways has grounded six aircraft, taking the total to 25. The planes on the ground reportedly include the newly-introduced Boeing 737 Max, Boeing 737 NG and Airbus A330 planes. During the December quarter, the company has defaulted in repaying the working capital loan instalments, including interest due to Indian banks, which had partly been paid in January 2019 and there are substantial payments overdue to creditors. Modi slams Congress leader Digvijay Singh for calling Pulwama attack an "accident"